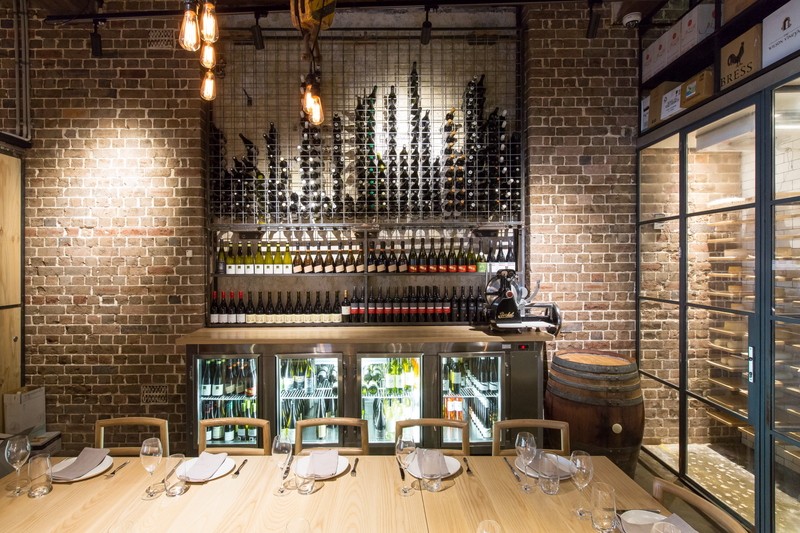 Surry Hills has come a long way recently and is now known as one of Sydney’s hottest foodie destinations. 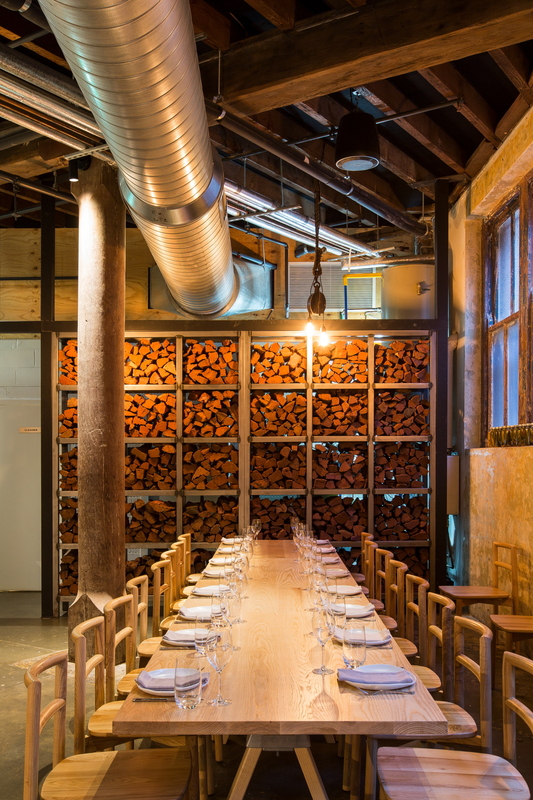 It’s home to some of the most creative dining spots in Sydney. No stranger to this list is Nomad in Foster Street, the constantly packed out restaurant which has recently been awarded a Chef’s Hat in the Good Food Guide. 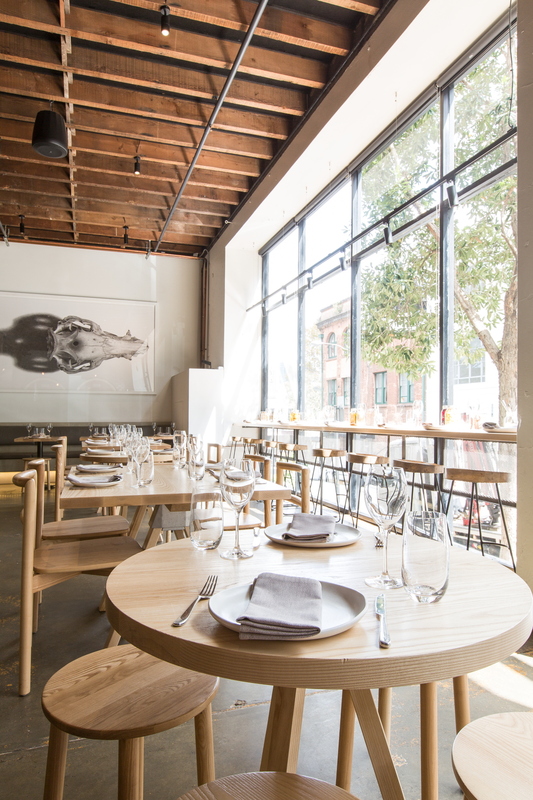 After hearing all the hype about Nomad, I immediately jumped on the foodie band wagon and booked a weekend away to Sydney to investigate the eating and drinking crown of Surry Hills. There’s a lot to love about Nomad, even on first impressions. Upon entering, I am immediately struck by two massive wine barrels and countless wine studded racks. A handsome temperature-controlled aging room holds tiers of house-cured meats and cheeses.These features make Nomad not only a tasty feast but a visual one. 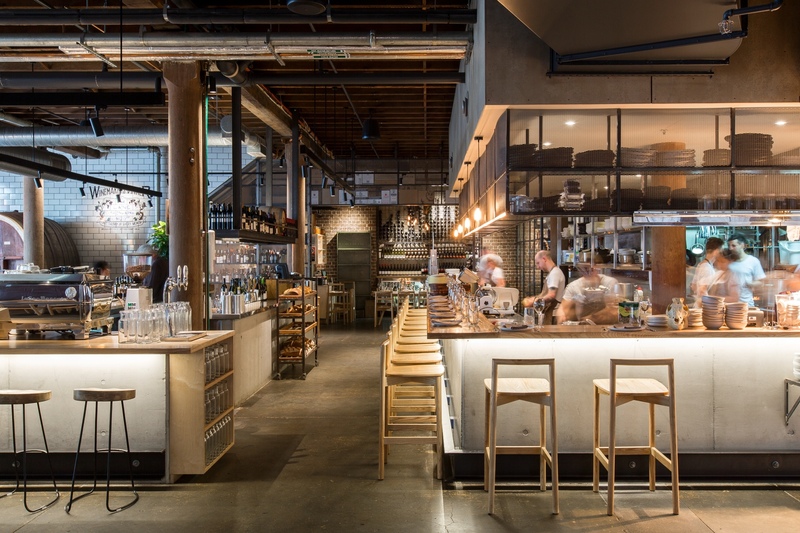 Nomad is an eclectic warehouse conversion, weaving typical industrial features like exposed brick and piping together with classic Nordic natural timber furniture. It’s spacious – with 150 covers – yet it feels intimate at the same time. An open kitchen in the middle of the restaurant takes centre stage. surrounded by bar stools which are so close to the kitchen you can almost feel the chef’s breath. The staff are charismatic and radiate positive energy. What I like the most about the service is that it isn’t stuffy and staff are not afraid to have a bit of fun. The largely Mediterranean inspired menu is easy to navigate, made up of snacks, small plates and plates from the garden and wood fired oven. What is evident is their focus on Australian seasonal produce. Head Chef Nathan Sasi (ex Rockpool) prides himself on his commitment to get the best out of the produce with classic techniques like smoking, curing, wood firing and pickling. To start, a plate laden with Kingfish carpaccio which was almost too beautiful to eat. Rosy, fleshy slices of kingfish were topped with small dollops off house made creme fraiche and a touch of palate popping horseradish. Slices of raw kohlrabi heightened the freshness of the dish; the kohlrabi almost as crispy as an apple. Edible flowers were sprinkled on the kingfish for a further visual treat. From the wood fire grill came the BBQ wagyu tongue, neatly concertina’d into wafer thin slices and served on a skewer. The flavour was brilliant and created a rich smoky intensity from the grill. Its partner in crime, a dip of mojo verde – a herby and refreshing green sauce. The coriander and garlic flavour achieved the perfect balance for the smoky wagyu. Surprisingly, the BBQ carrots were one of the heroes of the evening. 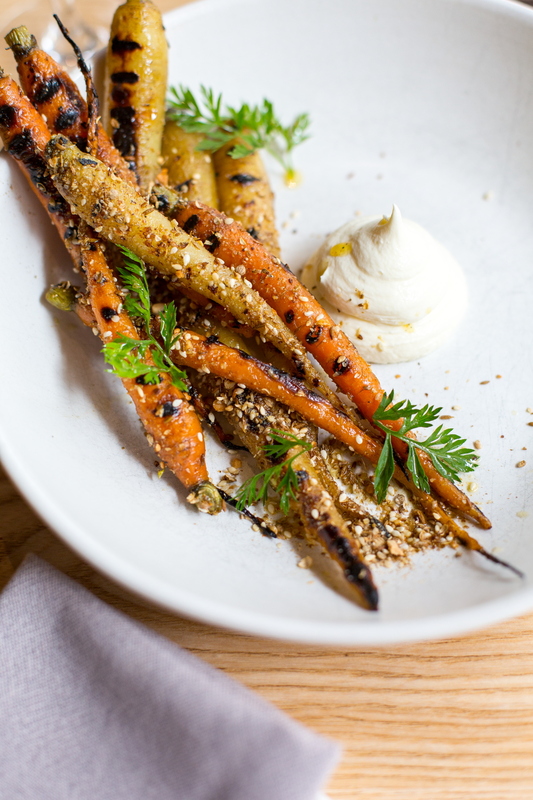 The baby carrots were beautifully cooked – neither too soggy or crisp. A sprinkling of almond dukkah was a welcome textural intrusion, slightly toasted from the bbq grill. The house made labne was equally superb – cutting through the BBQ flavours delicately and providing a lighter touch for the dukkah. Finally came the BBQ lamb rump, served on a bed of Moroccan eggplant salad. Cooked medium rare, the lamb had a nice rosy centre and a good meat to fat ratio. A drizzle of sheep’s yoghurt brought all elements of this plate together perfectly. All up, a faultless meal. My only regret was not leaving enough room for dessert and trying more of their dishes. Next time I will come with a larger group so I can order more of Nomad’s delicious cuisine. 16 Foster Street, Surry Hills, Sydney.